Today, I’d like to go back to idioms. We have many idioms about body parts. 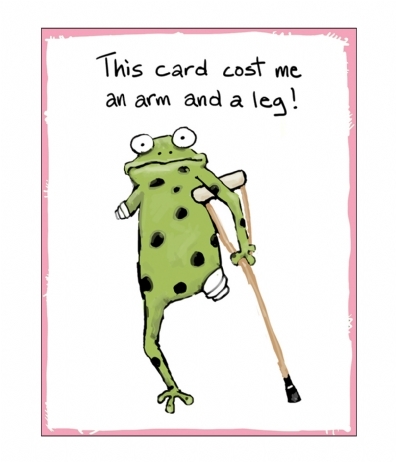 Previously, I taught “to play it by ear” and today we have another idiom about our bodies: “to cost an arm and a leg”. This means that something costs a lot of money, in other words, it’s VERY expensive. The tickets to the concert cost an arm and a leg, but they were worth the price. We had such a good time! Renting an apartment downtown will cost you an arm and a leg. Why don’t you stay in the suburbs? Bob just bought a new house. I hear it cost him an arm and a leg.